You all know by now just how bowled over we are with the food in the restaurants here in the Big Easy. 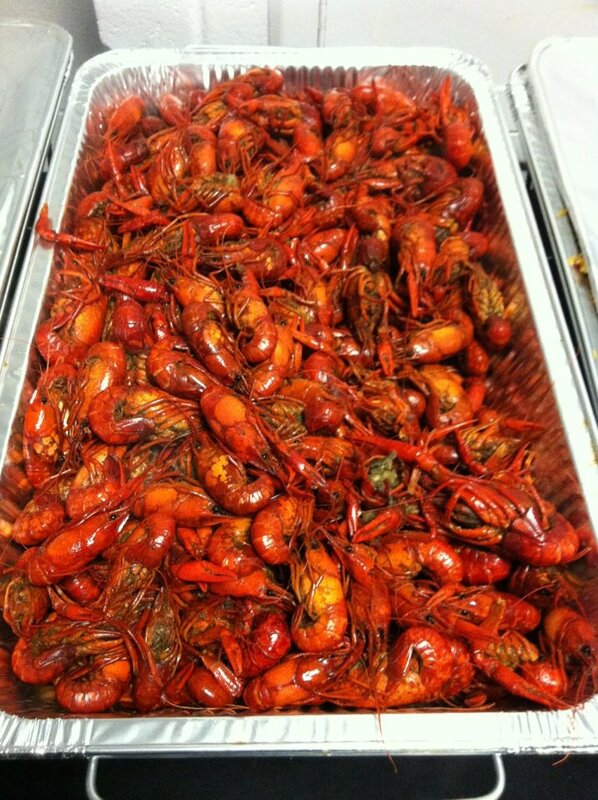 But when Creole and Cajun cuisine is made for you personally, from scratch, with love, it’s truly overwhelming. 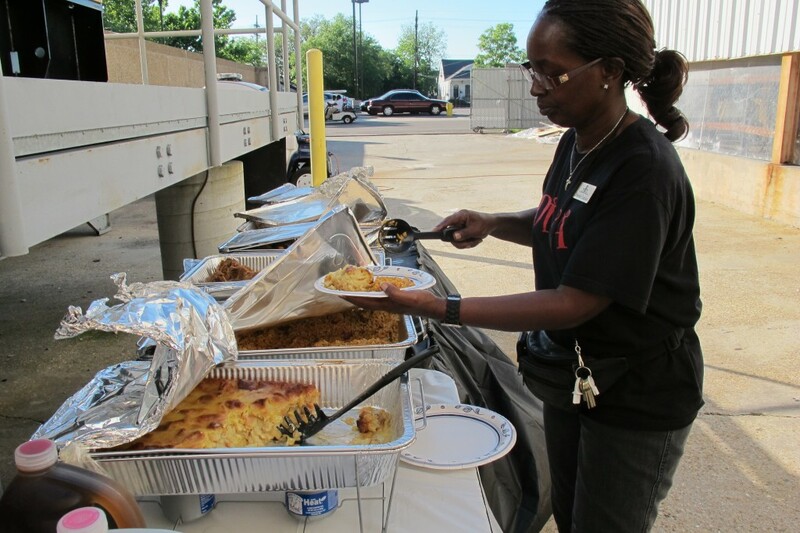 A few weekends ago, the entire Lion King cast and crew got a special surprise between shows: an delicious buffet of boiled crawfish, baked chicken, red beans and rice, mac and cheese, jambalaya and bread pudding — all homemade by the Mahalia Jackson Theater’s own Ms. Deborah Jackson. Ms. Deborah has been a porter at the theater for 3 years now, but was born and raised a true New Orleanean for all of her 54 years. She and her five sisters and two brothers learned to cook from her mother, who had them switch off kitchen and laundry duties every week, so everyone had to know the finer points of preparing meals for the family. And the talent seems to be genetic, as her daughter, who moved to Atlanta after Hurricane Katrina, is thriving as a personal chef. Ms. Deborah claims that what makes the food in New Orleans so special and scrumptious is because it’s literally a melting pot of spices, methods and influences from different cultures — French, Caribbean, German, African, Spanish, Italian, Native American and the West Indies. 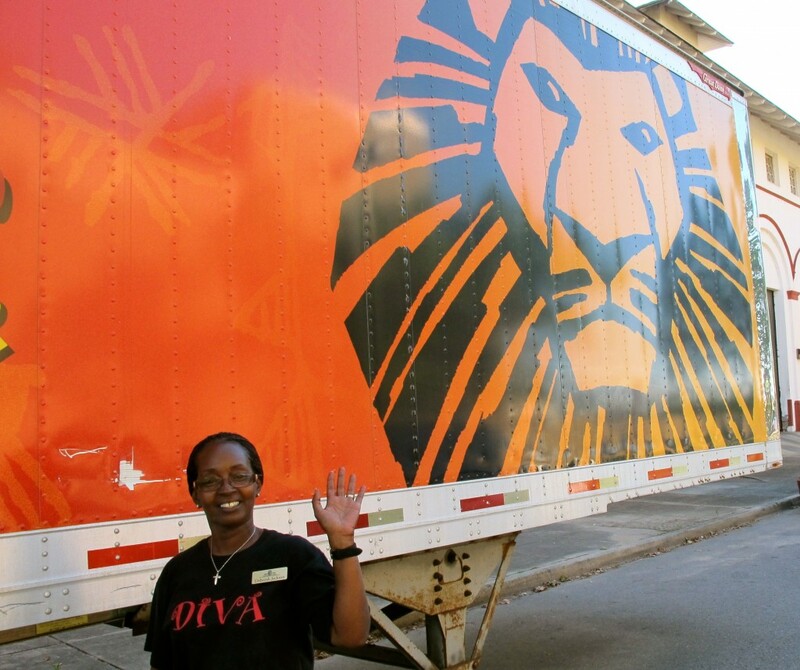 So, The Lion King Gazelle Tour is in the middle of the annual spring fund-raising drive for Broadway Cares/Equity Fight Aids and couldn’t have picked a better place to start than New Orleans. The people of New Orleans have proven to be some of the most generous people in the country, and have helped us raise over $50,000 through their donations. Simply amazing! 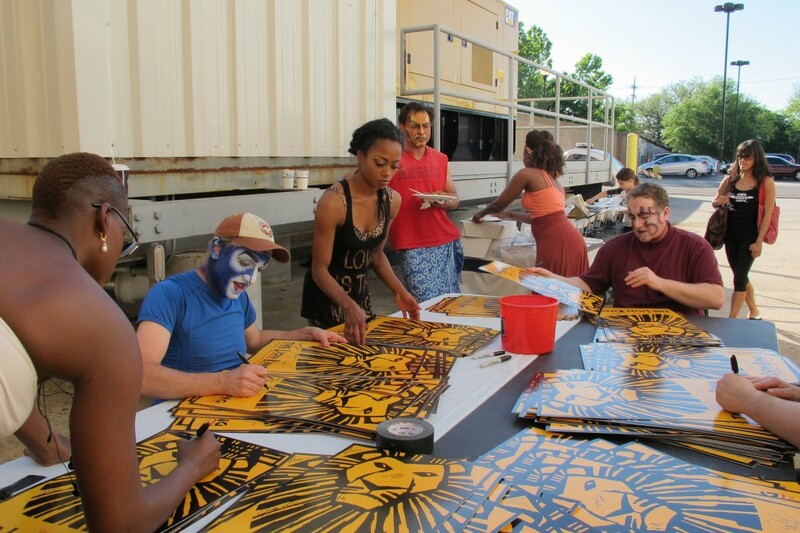 One of the ways we’ve been raising money in addition to donations is by selling pictures with performers, South African art, and posters signed by the cast. 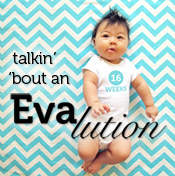 The posters were a huge hit and we quickly ran out of them and had to request more — a lot more. And all of these posters needed to be signed, by cast, crew and management. Everyone involved with the show. This has truly been a company-wide effort. 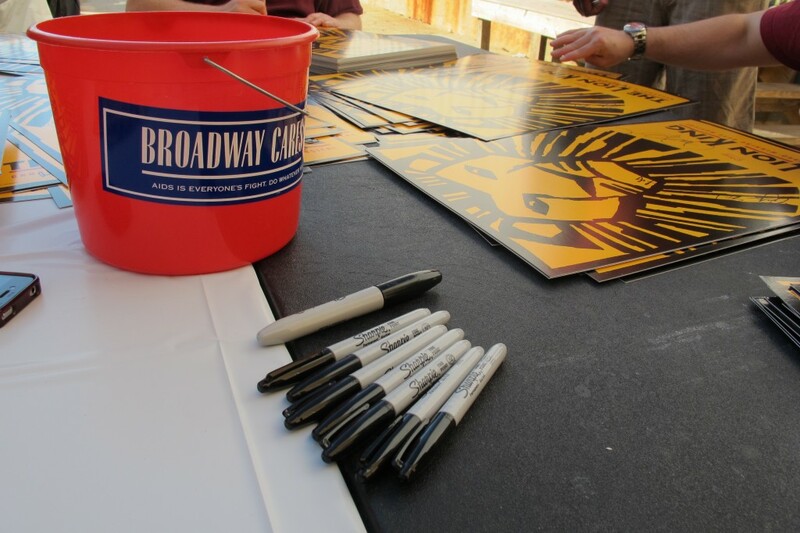 So Mark David Kaplan (Zazu), decided to have a poster-signing party in between shows one weekend, and hired Ms. Deborah to cater the party, since she proved her home-cooked vittles were such a hit the first time around! 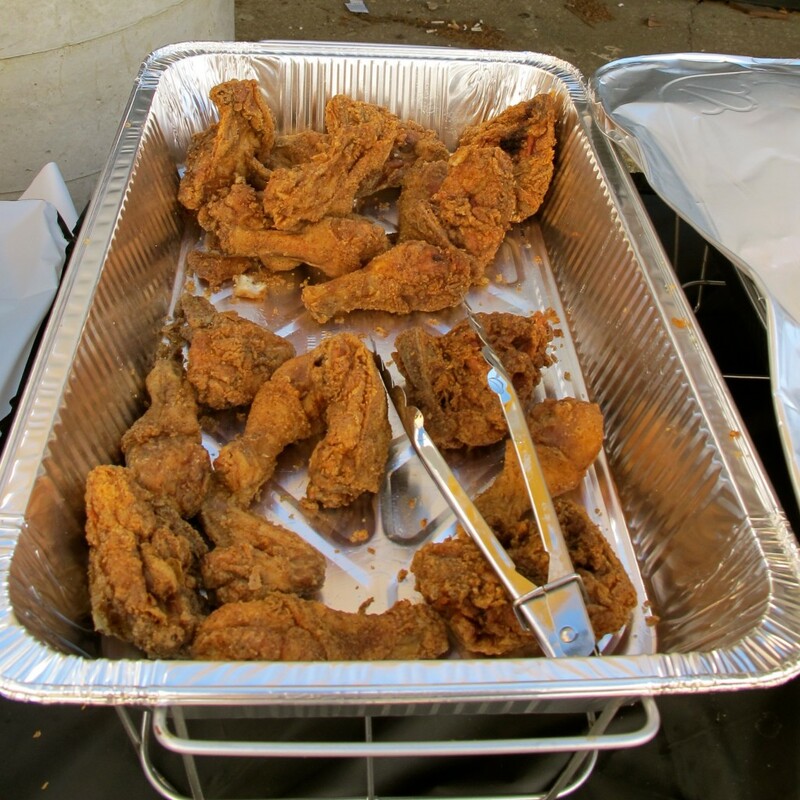 Everyone had a truly satisfying meal as they signed posters and took in the beautifully perfect New Orleans day, behind the Mahalia Jackson Theater. 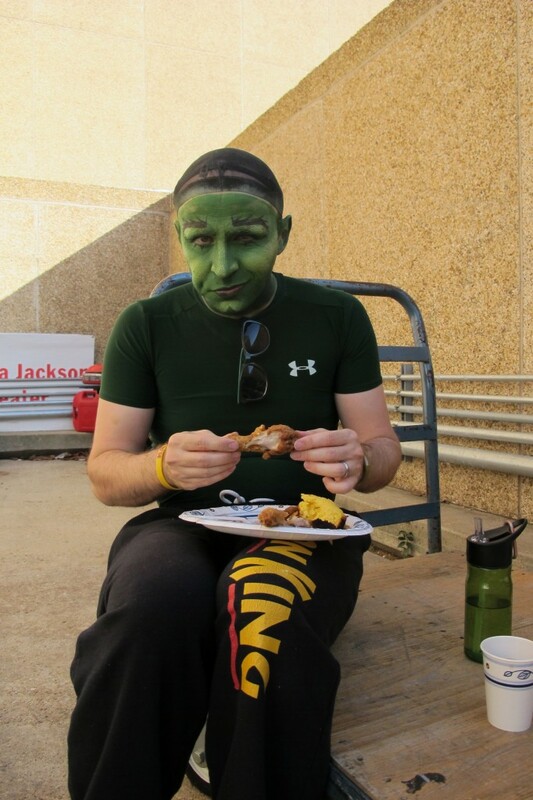 This food and the sunshine made a perfect way to relax in between shows. Just ask Nick, aka Timon! Previous post: Can acting save the world?